After closing-time Monday January 14 we had an inspiring visit in our test-lab in Copenhagen by a team of students called DanSTAR, who are building a rocket. It was a pleasure to show our test facilities to like-minded electronics nerds, who also love interesting challenges. 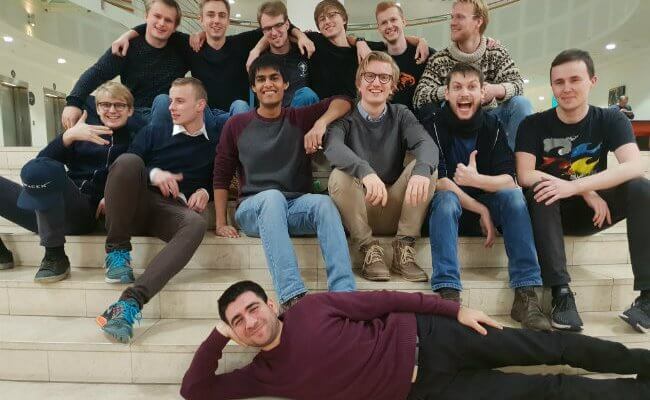 The cool students from DTU Skylab, the Danish student Association for Rocketry, are aiming at winning the international competition for students in New Mexico, the Spaceport America Cup, in June. They will be competing against students from all over the world in firing a rocket in the most precise, controlled, and elegant manner. EKTOS is proud to be supporting DanSTAR with free prototypes as well as assistance for electronics development and testing. The DanSTAR team took a tour of the test lab Monday evening, and many interesting questions were discussed along the way. For Example, “Does a compass works inside a Semi-Anachoic Chamber?” “How to determine the resonance of a small component when its weight is changed by the sensor mounted under vibration tests?” Everyone in DanSTAR has their own responsibility within the different disciplines involved in the rocket project, such as electronics, ballistics, mechanical engine design, system design, and telemetry. The questions were spot on and represented the full spectrum. Does a compass works inside a Semi-Anachoic Chamber? How to determine the resonance of a small component when its weight is changed by the sensor mounted under vibration tests? 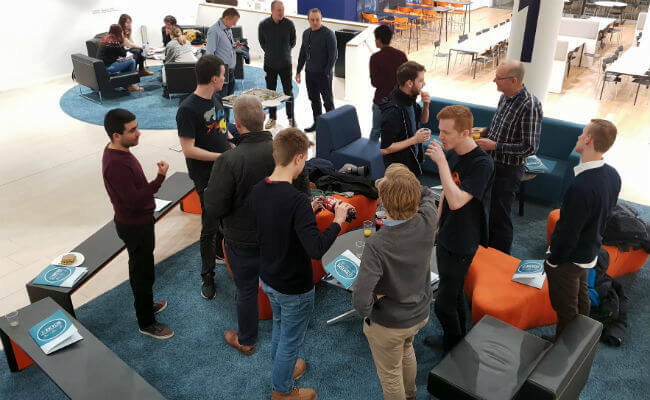 The managers of EKTOS’ development department in Ukraine were visiting the same day, and they got a chance to discuss the challenges faced by DanSTAR, like: How can you determine the altitude of the rocket precisely? We hope that DanSTAR found the visit interesting and that they might have learned something to help them reach the goal of their ambitious and interesting project. One message we would like the rocket-building students to remember is that when they are going to develop a commercial product in the future, find out, early in the process, which standards the product should be tested towards. The visit by DanSTAR was inspiring and rewarding. It’s incredibly exciting for EKTOS to help DanSTAR, and we cheer for them – all the way to New Mexico! Read More about DanSTAR on Facebook, where you can be updated about the awesome project.